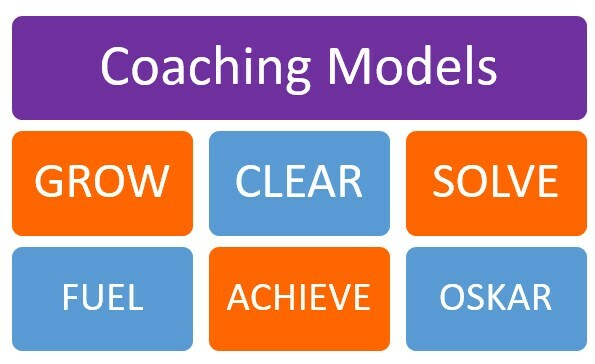 What is a Coaching Model? A Coaching Model is a method designed to guide an individual through a process from where they are currently to where they want to be. Using a coaching model will help you to ensure you have a plan for your coaching session. It provides a consistent framework for the flow of the conversation. It gives you a structure that guides the process as you coach someone. Having this framework and a flow for a coaching session will help ensure you stay focused and better able to manage the coaching interaction. It also ensures all of the necessary steps are covered. Coaching Models are typically comprised of the steps that are outlined by an easy to remember acronym. Below is a series of popular coaching models that you can use to assist an individual in reaching his or her goals. All these coaching models can help drive your conversation and lead to a productive coaching session. Although this models are all different, they do have some fundamental commonalities. These models are centered on trust, questioning, and open communication. There focus is on the establishment of goals, exploration of options, and a plan of action to achieve those goals.